Do you wait for good to happen to you? Expect to have invitations/opportunities/people finding you/your work that perhaps don’t come through? We do not need to wait …for good to happen or come true to be discovered or for wonderful things to occur…. You hold it within you to be and embody!!! Because you are the expression of Love this moment and Love is already seeing you whole and complete…. And my heart to yours ? the moments I’ve felt most alive are when I’m taking steps of embodying deliberate you see. But creating wonderful for me and others to try…. 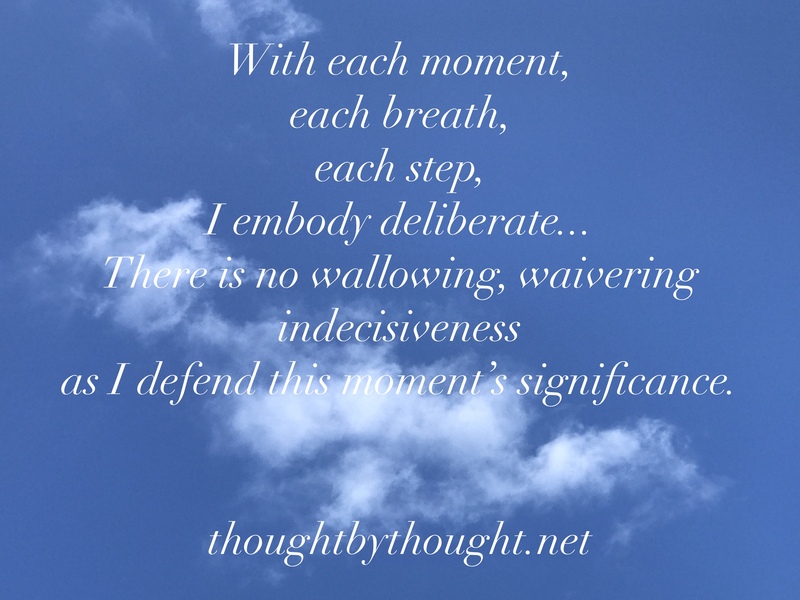 Be deliberate dear one in this moment now. as I defend this moment’s significance.